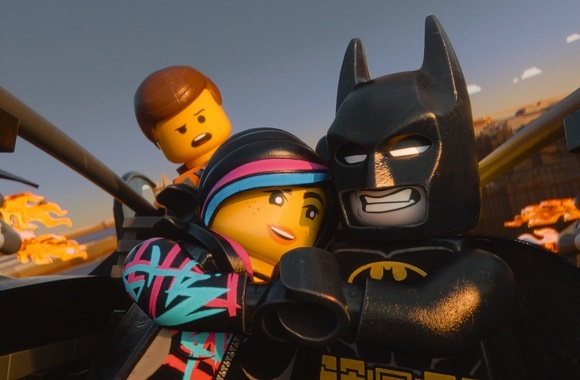 The only people I can see having a problem with THE LEGO MOVIE are the same Batman fans who had a problem with the animated TV series “The Brave and The Bold.” Like THE LEGO MOVIE, “The Brave and The Bold” wasn’t afraid to poke fun at Batman and lighten up the character. Plenty of Batman fans absolutely detested “The Brave and The Bold” as they thought it was outright blasphemy that any trace of humor or comedy should or could be associated with Batman. Those are the ones who need to stay away from this movie, then. Me, I got a kick out of a Lego Batman who flies around in a Lego Batplane with his girlfriend composing heavy metal songs about how cool it is to be Lego Batman. Emmet Brickowski (Chris Pratt) is a construction worker living in Bricksburg, a Lego city that apparently is one huge construction project. He cheerfully follows the instructions for his daily routine as laid out in his instruction manual and goes to work singing the only song that exists in this world; “Everything Is Awesome!” I song I guarantee you will absolutely not be able to get out of your head once you’ve heard it. One day at work Emmet finds a mysterious red brick that seems to speak to him and gives him visions. He passes out and upon awakening finds the brick attached to his back and himself in the custody of Bad Cop/Good Cop (Liam Neeson) the chief henchman of Lord Business. (Will Ferrell) Lord Business has possession of The Kragle, a superweapon that he intends to use to freeze the various realms of The Lego Universe in place forever. The only thing that stands in his way is a prophecy that was spoken to him eight and a half years ago by the wizard Vitruvius (Morgan Freeman) that a person called The Special would use The Piece of Resistance to stop The Kragle. Emmet is rescued by Wyldstyle (Elizabeth Banks) from the clutches of Bad Cop/Good Cop and takes him to Vitruvius who explains that there are Master Builders fighting against Lord Business, so named because they are capable of building anything they need out of Legos without need of an instruction manual, simply using their own creativity. 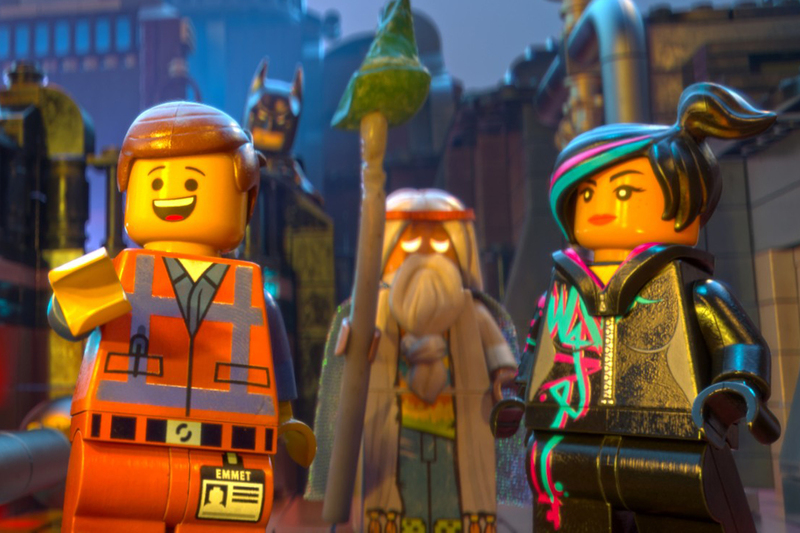 Other Master Builders are Lego versions of characters we’re familiar with such as Batman (Will Arnett) Superman (Channing Tatum) Green Lantern (Jonah Hill) Wonder Woman (Cobie Smulders) Shaquille O’Neal (Shaquille O’Neal) Abraham Lincoln (Will Forte) William Shakespeare. (Jorma Taccone) And a few other characters we’re meeting for the first time such as Metal Beard the Pirate (Nick Offerman) Benny The Space Guy (Charlie Day) and Princess Unikitty (Alison Brie) a unicorn/anime kitten hybrid whose unrelenting optimism and upbeat cheerfulness borders on the frightening. Can Emmet overcome his lack of creativity and come up with a plan to unite The Master Builders into a team and defeat Lord Business? What is The Piece of Resistance and how exactly is it supposed to be used to stop The Kragle? And what is the secret of The Man Upstairs? Finding out the answers to these questions is a delight for the audience to find out as the characters do and you’ll have a good time doing so. A movie like this walks a fine line in entertaining kids while keeping adults engaged and the adults at the showing of THE LEGO MOVIE Patricia and I attended sounded like they were having just as much fun as their kids. I know we were. 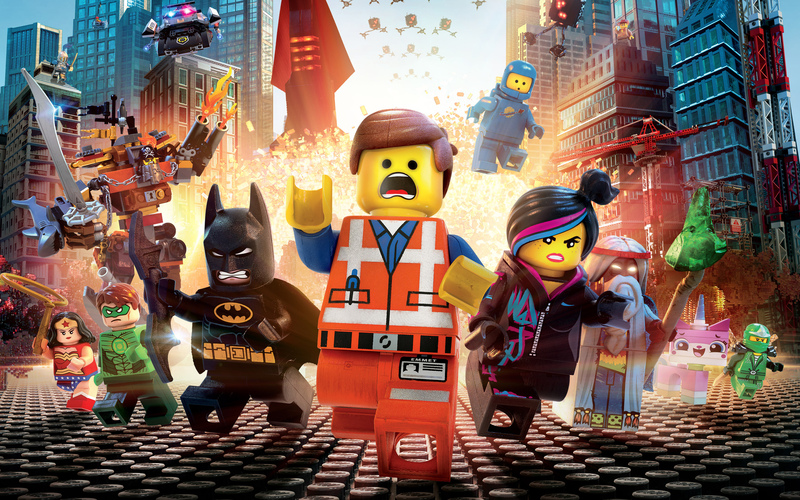 The more cynical among you would say that THE LEGO MOVIE is simply a 100 minute commercial to sell toys and you’d be wrong. The filmmakers have actually taken their time to tell a real story about creative freedom. Lord Business wants to lock everything into a set form, following a rigid set of rules and instructions while The Master Builders want everybody to be free to explore whatever it is they can dream up and create. But it doesn’t beat you over the head with that message and never forgets it’s supposed to be entertaining and funny as well. Chris Pratt is utterly charming as Emmet. Between this and “Guardians of The Galaxy” 2014 was a good year for him. Will Arnett walks off with the voice acting honors in this one as his Batman is so wickedly pompous. And Jonah Hill is right behind with his Green Lantern who so desperately wants to be Superman’s best bud and is constantly rebuffed by the Lego Man of Steel. But it’s not really fair to single out one or two because everybody gets a chance to shine with their characters and get their funny lines or scenes as the rollercoaster plot takes us through various Lego worlds and to the final confrontation with Lord Business that definitely did not end the way I thought it would. 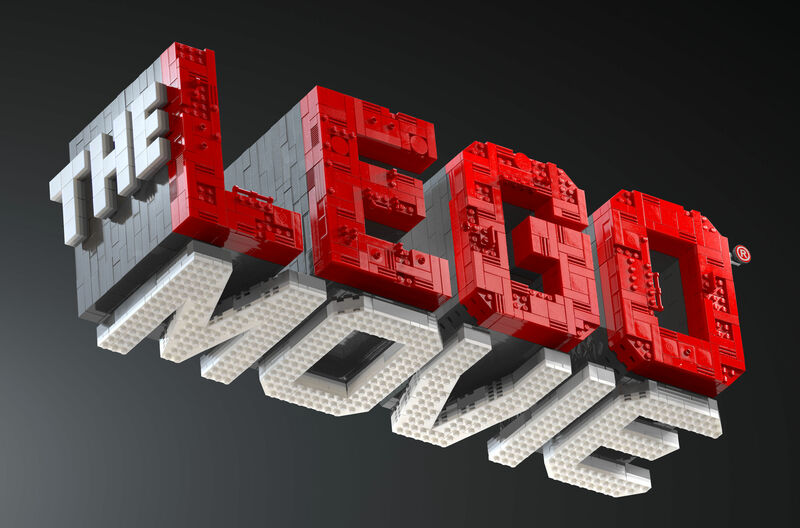 So should you see THE LEGO MOVIE? By all means. It’s got terrifically colorful animation and and an outstanding voice cast. The story is simple enough for kids to grasp but witty enough that it doesn’t insult the intelligence of adults. This is the best kind of movie. One that does not want to do anything but entertain, make you feel good and send you home with a smile on your face. I’ve put off seeing this for too long. As a huge fan of the Lego games just because of the mindless fun, I should’ve been there opening night! Another blue ribbon for a great review sir!